Nowadays if you just browse through the internet to see online money making methods then you’ll probably find numerous ways to earn online. Blogging is also one such way as well. 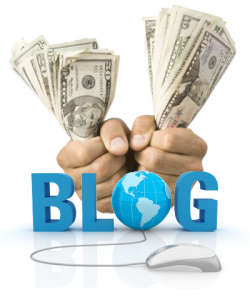 In fact, blogging is one of the most effective and promising online money making methods these days. More and more people are getting involved in blogging. So, let’s will talk about a few easy steps which will help you learn on how to earn through your blogs or personal websites. Information which you provide on the blogs, are for free to the visitors. 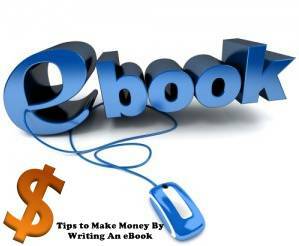 A great way to expand your information to the visitors and also earn cash is to produce and sell e-books on your blog. Your visitors will never pay for that information which you have already provided on your blog. So, your e-book should be connected to your blog content and expand various information. For example, if you own a SEO blog, your e-book could be a short SEO book containing formerly unpublished contents. You can feature new SEO techniques, updates and other SEO contents which are not available in the market and only you can provide that sort of knowledge. So, chances are that people may be hooked to buy your book and learn more advanced SEO techniques and get benefited themselves. However, to make people interested even in checking out your E-books, your blog must be outstanding in imparting knowledge and information; you must have a brand value so that people can trust you and your product. So, work on your site and then pitch your product via your popular site. Pay per click (PPC) is an online marketing model where the advertising agencies pay to the campaigner and the site publishers for a single click on their advertisement. This click redirects the visitors to the advertising web site. Google’s AdSense is the best choice of all the bloggers when it comes to putting PPC ads to your blogs to build a good flow of earnings. It is easy to use and you do not require having much technical knowledge. All you need to apply for an AdSense account and if your application is approved, you can select different banner/ media files and text links to place on any of your websites and that’s it. No real work on your part from thereon. Another benefit is that you’ll get an array of advertisers to do business with as the AdSense is one of primary advertising networks available. 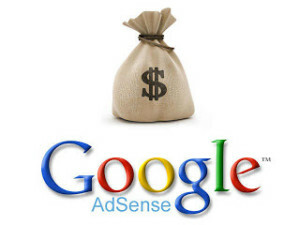 It means that you can earn online through AdSense even if your blog doesn’t belong to a popular niche. Affiliate marketing enables people to promote various products online via their weblogs or web page. If you would like to have a good way to earn money on your blog, you can simply apply affiliate marketing directly into your website. Amazon’s affiliate marketing is known to be one of the biggest affiliate programs, though there are other available options as well. Depending on the main topic of your website along with the quantity of visitors you receive, you’ll be able to engage in a variety of affiliate marketing programs. The concept is simple – help merchants earn through your websites. You can easily pocket some bucks with no real work on your end. As your site grows big, you tend to have good number of visitors almost every day. You can take advantages of your blog popularity by means of private advertisement sponsorships. In order to offer private ads, you’ll need to convince the company that you have ample visitors on your site. It is also required for you to prove to the company that your blog is appropriate to promote/sell their product/services. Sponsored product reviews are normally simple solutions to make money via your blogs as well. When any advertising agency promotes their product/services online, they may want to make blogger hype to promote it among web blog followers. So, they need a blogger to write a blog on their product to promote it and to educate the visitors about their product. They also ask the blogger to add their site link and other info to the blog. The blogger gets paid once the blog is published. Summing up, there are plenty more ways to earn money from your blogs but the above discussed are surely easy and more popular ways to start a good earning model from your newly started blogs or personal websites. Most of the internet marketers have already started earning through these; now it’s your turn to earn.